When you write a novel about a nurse who served in Vietnam – based entirely on research and imagination – it’s a thrill to receive a letter from a real Vietnam veteran nurse telling you what she thought about the book. I received such a letter last week. I don’t know the nurse, or even her name. She sent the letter to a friend, who sent it to another friend, who forwarded it to another friend, who sent it to me. (Interestingly, all of the women in this friend chain are named Susan.) I’m sharing the letter with the writer’s permission. Her Own Vietnam] brought back many memories. My experience was better than many nurses simply because I was a newlywed who followed her husband, and the armies were standing down. I was opposed to the war before I joined the Army and participated in the 1969 anti-war rally in DC. (See Forrest Gump.) However, I always supported the troops. I remember the [draft] lottery and flying over [to Vietnam] in summer greens and pumps on a commercial flight. You know you’re going into a combat zone when they make sure your dental records are updated to ID you in case of death, and you travel to your base in an armed convoy. My husband and I were stationed together. He worked in a drug treatment center while I was in the medical wing of the 24th Evacuation Hospital [in Long Binh]. I truly have mostly good memories about my experiences: the soldiers from the bush who loved seeing “round-eyed” girls, our colleagues from all over the country, the general who allowed a best friend to stay with his dying buddy. Even Bob Hope came. We did, however, have an armed guard at our (air-conditioned) barracks – not to defend against the Viet Cong but to keep the drunk GIs out. I was only accosted once. We worked 12 hour shifts 6 days a week, and I was especially tired as I got pregnant (oops) the night I arrived. I, too, felt I could keep my brother out of Vietnam by being there. I met a private in personnel who had served several tours just to keep her brothers safe. 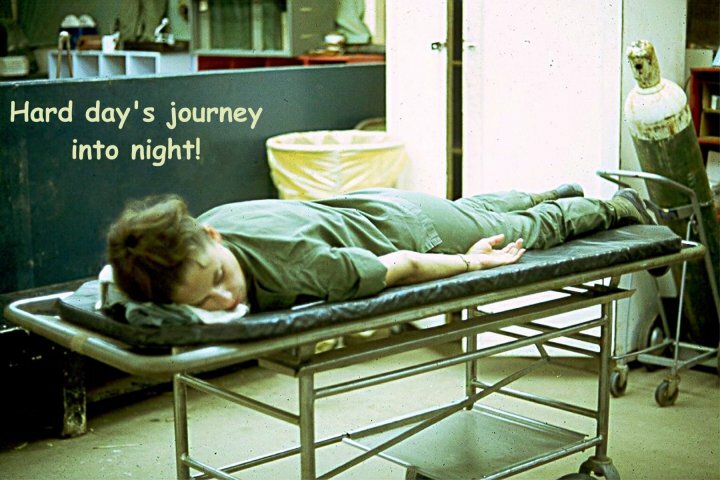 I was found out during routine drug screening (I think they did pregnancy tests on all the women) and med-evaced out of the country and forced to leave the Army. There were several of us pregnant women on the plane (where one of the Air Force nurses was wearing a maternity uniform!) but the vast majority of the patients were drug addicts. Quite different from the protagonist’s experience, and I certainly experienced no PTSD. The absolute hardest thing was to leave my husband in a combat zone. I was afraid one of us would die and the baby would be the only remembrance for the survivor. Luckily, he came home six weeks early in time for her birth. Like the author, I was totally opposed to the Iraq war. It’s easy to support something in which you make no sacrifice. It all seemed like more useless death and maiming. At any rate, thank you so much for the book. It was a good read, and I felt drawn back to my five months in country. Congratulations to B.M. of NY and I.T. 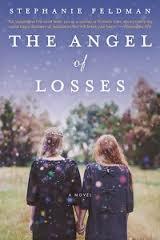 of DC, who got free copies of The Angel of Losses by Stephanie Feldman. 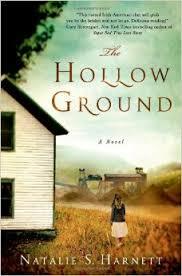 Coming up next: a giveaway of the gripping novel The Hollow Ground by Natalie S. Harnett. I’ll review the book here later this month. You can enter your name in the giveaway either through this blog or through my newsletter, Being Bookish. You’re going to want to read this book.